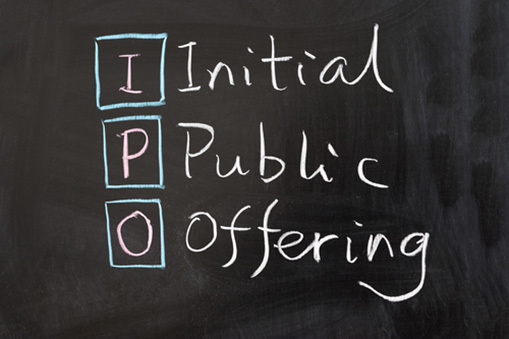 An IPO (initial public offering) is referred to a flotation, which an issuer or a company proposes to the public in the form of ordinary stock or shares. It is defined as the first sale of stock by a private company to the public. They are generally offered by new and medium-sized firms that are looking for funds to grow and expand their business. A privately held company has fewer shareholders and its owners don’t have to disclose much information about the company. Most small businesses are privately held, with no exceptions that large companies can be private too, like Domino’s Pizza and Hallmark Cards being privately held. Shares of private companies can be reached through the owners only and that also at their discretion. On the other hand, public companies have sold at least a portion of their business to the public and thereby trade on an a stock exchange. This is why doing an IPO is referred to going public. Public companies usually get better rates when they issue debt due to increased scrutiny. As long as there is market demand, a public company can always issue more stock. Trading in the open markets means liquidity. Being Public makes it possible to implement things like employee stock ownership plans, which help to attract top talent of the industry. Primary market: It is the market in which investors have the first opportunity to buy a newly issued security as in an IPO. Prospectus: A formal legal document describing the details of the company is created for a proposed IPO, also making the investors aware of the risks of an investment. It is also known as the offer document. Book building: It is the process by which an attempt is made to determine the price at which the securities are to be offered based on the demand from investors. Over-Subscription: A situation in which the demand for shares offered in an IPO exceeds the number of shares issued. Green shoe option: It is referred to as an over-allotment option. It is a provision contained in an underwriting agreement whereby the underwriter gets the right to sell investors more shares than originally planned by the issuer in case the demand for a security issue proves higher than expected. Price band: Price band refers to the band within which the investors can bid. The spread between the floor and the cap of the price band is not more than 20% i.e. the cap should not be more than 120% of the floor price. This is decided by the company and its merchant bankers. There is no cap or regulatory approval needed for determining the price of an IPO. Listing: Shares offered in IPOs are required to be listed on stock exchanges for the purpose of trading. Listing means that the shares have been listed on the stock exchange and are available for trading in the secondary market. Flipping: Flipping is reselling a hot IPO stock in the first few days to earn a quick profit. The reason behind this is that companies want long-term investors who hold their stock, not traders. IPO is done through the process called underwriting. Underwriting is the process of raising money through debt or equity. The first step towards doing an IPO is to appoint an investment banker. Although theoretically a company can sell its shares on its own, on realistic terms, the investment bank is the prime requisite. The underwriters are the middlemen between the company and the public. There is a deal negotiated between the two. E.g. of underwriters: Goldman Sachs, Credit Suisse and Morgan Stanley to mention a few. The deal could be a firm commitment where the underwriter guarantees that a certain amount will be raised by buying the entire offer and then reselling to the public, or best efforts agreement, where the underwriter sells securities for the company but doesn’t guarantee the amount raised. Also to off shoulder the risk in the offering, there is a syndicate of underwriters that is formed led by one and the others in the syndicate sell a part of the issue. Once the deal is agreed upon, the investment bank puts together a registration statement to be filed with the SEBI. This document contains information about the offering as well as company information such as financial statements, management background, any legal problems, where the money is to be used etc. The SEBI then requires cooling off period, in which they investigate and make sure all material information has been disclosed. Once the SEBI approves the offering, a date (the effective date) is set when the stock will be offered to the public. During the cooling off period, the underwriter puts together there herring. This is an initial prospectus that contains all the information about the company except for the offer price and the effective date. With the red herring in hand, the underwriter and company attempt to hype and build up interest for the issue. With the red herring, efforts are made where the big institutional investors are targeted (also called the dog and pony show). As the effective date approaches, the underwriter and the company decide on the price of the issue. This depends on the company, the success of the various promotional activities and most importantly the current market conditions. The crux is to get the maximum in the interest of both parties. The IPO process starts when the company lodges a registration declaration in accordance with SEBI. The entire listing declaration is then studied by the SEBI. This is followed by the prelude brochure proposed by the sponsor and then an authorized catalog prior to the share offering. The value and time of the IPO are then determined. When a firm proposes a public issue or IPO, it offers forms for submission to be filled by the shareholders. Public shares can be bought for a limited period only. The submission form should be duly filled up and submitted by cash, cheque or DD prior to the closing date, in accordance with the guidelines mentioned in the form. A fair number of the upcoming IPOs plan to raise at leastRs.1,000crore or more. For example, InterGlobe Aviation Ltd (Indigo Airlines), Coffee Day Enterprises (Cafe Coffee Day), Syngene International Ltd (Subsidiary of Biocon) and Matrix Cellular Services Ltd are some of the names that can lure investors with the charm of a differentiated business. Inox Wind: The shares were priced at about $5.2 apiece. It started trading at the Indian bourses at around $6.45 a piece, 35% jump over offer-price a bumper listing. Snowman Logistics: The stock had debuted at a premium of 68% to the IPO price. VRL Logistics: With the strong demand from all categories of investors, and the positive sentiment in the markets, the IPO was oversubscribed 74 times and the shares listed at a premium of 40% to the offer price of Rs 205. On the other hand, a classic example of the changes in market sentiment overnight affecting the IPO is Reliance Power IPO. The IPO had indicated huge demand when the IPO was introduced. However, after the closure of the IPthe O, global financial crisis started creeping in, and the applications worth Rs800,000crore that were riding on the Reliance Power IPO, had the investors to wait for an excruciating three weeks for the company to list and redeem their money. As market sentiment had undergone a sea change in the interim, shares of the company also tanked on listing. 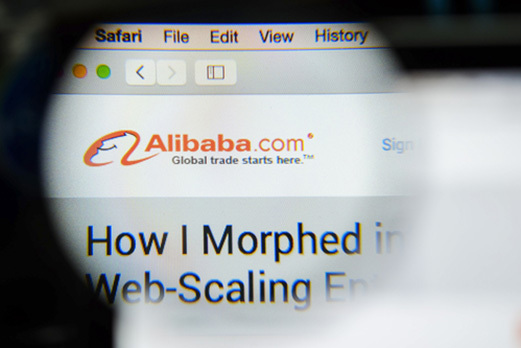 Alibaba, the e-commerce gianthad filed for an initial public offering in the United States, which achieved the biggest market debut in history. Alibaba had proposed an initial range of $60 to $66 a share, butdemand for the stock raised the top estimateto $68, which is what the company eventually settled on. There were six investment banks leading the company through the IPO process: Credit Suisse, Deutsche Back, Goldman Sachs, JPMorgan Chase, Morgan Stanley and Citi. The words from the Chairman before the IPO were, “Lying behind the massive allure of the capital market, there is unparalleled ruthlessness and pressure. In this market, only a small number of outstanding enterprises can maintain a gallop. One should always remember that although IPO is an opportunity to get into a good company from the beginning but as IPOs happen once for each company, they are presented in a way to get maximum attention. That is why avoid the hype and get into an IPO for a good investment.